Lately, I have been reading comments asking about CF training and certification. A lot of CF developers want to improve their skills. The ColdFusion community is one of the best I have seen. Honestly. From so many excellent conferences to some other helpful resources, like online training for example. 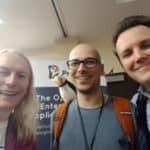 You can meet a lot of people just being happy to share their knowledge, and talk to other developers and enthusiasts about CFML, Lucee, ColdBox, or any other topic. CF is always on the spotlight about being outdated, expensive, or any other reason non -CF-ers might say CFML should go to history. 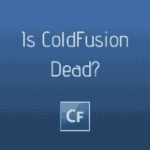 The reasons why ColdFusion is not dead are explained in this excellent article by Bret Peters. One excellent example is from Teddy Tapawan, and this is what he said about ColdFusion when I met him at IntoTheBox Conference 2017. Here you can learn the basics of ColdFusion programming and follow the latest updates from Adobe. Who’s it for? Beginner CFers. Here you can learn the basics of ColdFusion programming and follow the latest updates from Adobe. Pros: This is an official website and resource on ColdFusion. You are one step closer to the support and other useful info. Cons: Since this is an official website, I would expect more detailed tutorials and info about ColdFusion. Adobe’s ColdFusion blog offers a lot of useful material. Who’s it for? It’s a great resource for CF developers. Pros: It offers both, useful information about using ColdFusion, updates to it, and organizations using it. Cons: It does present Adobe's perspective on things, and perhaps it could be updated more often. This is a free online presentation of the 9-hour Adobe Fastrack to ColdFusion 2016 training. Who’s it for? It's oriented towards to people that are new to ColdFusion and web development. Pros: Very detailed, thoroughly explained tutorials. Cons: Maybe slow-paced and not in-depth enough for some. 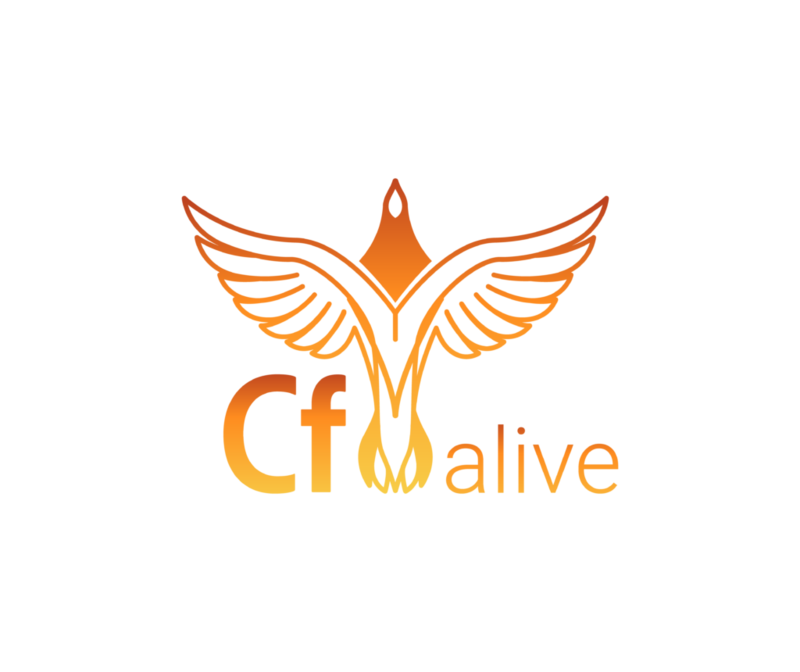 “Learn CF in a Week is a community-driven training program that teaches all the basics you need to be a ColdFusion Developer in one week.” this one is for more experienced and advanced users and developers. You will also gain some basic skills even if you don’t want to be a CF developer, but want to have knowledge about ColdFusion. More advanced developers that are training for certification and jobs. But, it also offers lots of useful info to all other CF enthusiasts and less proficient developers. 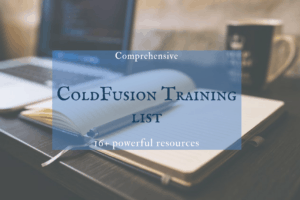 Pros: In their own words this course will help you get hired and work as a professional ColdFusion developer. It is a very nicely done source for CF, even older versions. Who’s it for? Beginners to advanced developers. Pros: Besides basics, it offers some excellent materials about older versions of ColdFusion. Cons: No training for ColdFusion 11 and 2016. This is the ColdFusion tutorial for the beginners. If you already know the basics, it might come in handy to remind about some features every once in awhile, but no more than that. With 36 sections, it does provide good information about CFML. Pros: Nicely done interface, with well-explained sections. Cons: You do need basic knowledge of HTML before you dive into this. These guys have a very interesting course setup. They will come onsite or will have you at their offices, with you or/and with your team. Who’s it for? Beginners to more advanced developers. Pros: Very location friendly. If you’re running a business, and don’t have time to travel to conferences, school/s etc. then Accelebrate will be your cup of tea. Cons: I couldn’t find any training material for ColdFusion 11. It’s time to have that one out guys. Fig Leaf is very well known and well established in the CF community having authored the first two CF books with Ben Forta and having trained more than 35,000 students. The training is very up-to-date, and offer very fast paced course.Fig Leaf has written many of the official CF training and certifications for Allaire, Macromedia, and Adobe and wrote the most recent Advanced ColdFusion courseware for Adobe. Fig Leaf is also the author of the Administering ColdFusion class designed for CF Administrators. Who’s it for? Beginner and Advanced ColdFusion developers and Admins. Fig Leaf’s classes are on GSA Schedule with discounted pricing for Government employees. Pros: All classes are hands-on, instructor-led by a Certified Technical Trainer with 10+ years of CFML experience. The 3 and 4-day courses offer a fast-paced rhythm to get you the experience you “need to start building and maintaining dynamic and interactive Web applications using the ColdFusion application server.” Private training is very affordable for up to 12 students at $2,795/day plus T&E. Cons: Cost – the classes are priced for professionals and are not priced to be paid for by individuals out of pocket. Charlie is a veteran of the CF community. He offers substantial free resources, such as his CF411.com (which itself has lists of free CF training resources and trainers), as well as his CF911.com and UGTV sites, and his blog. And while he offers paid CF troubleshooting, note that he also lists other CF troubleshooting consultants. And while he offers paid CF troubleshooting, note that he also lists other CF troubleshooting consultants (While Charlie can offer CF training, it’s no longer a primary focus). Who’s it for: Beginners and advanced level. I suggest using any of the many resources he offers for free and contact Charlie if you need more help once those have been consulted. Pros: His many free resources offer a wealth of information to help folks at any level, and his troubleshooting consulting offers excellent custom tailored sessions for you and/ or the whole team. Cons/cost: Charlie’s consulting is not inexpensive, but if you avail yourself of the many free resources first and still need help, he can generally solve problems very quickly (with satisfaction guaranteed). These guys are awesome. Very inspiring and interesting to work with, and learn from. 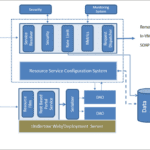 They have created multiple applications, like ColdBox, CommandBox, TestBox and ContentBox Modular CMS. 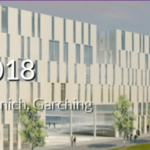 You can catch Luis Majano and the guys at one of the CF Conferences throughout the year, and chat and learn about CFML, or have a detailed training from them. Who’s it for: Even though beginners might find it useful, I suggest it to advanced CF developers. Pros: On-site training, and benefits that come with that: save time, Focus on topics that matter to your company etc. Cons: They're all very active in the community and at work, so you have to plan your trainings in advance if you want to have them train you and/or your team. Roundpeg offers online and onsite classes but is no longer available for public classes, only private ones. Besides CF they also offer other training which might be useful for future developers. Who’s it for: Beginners to medium. Cons: Slower on a feedback and longer response time. Scot is a very experienced technical trainer and educator. He’s been teaching for almost 20 years, and can transfer knowledge very good. Who’s it for: Beginners to advanced. Pros: Excellent resource for even older versions of ColdFusion. Cost: Starting from $25 for manuals and tutorials, but you need to contact him for the training. Good and fast 2-day to 5 day Adobe authorized classes, covering all important details and providing enough information to get new ColdFusion developers up to speed quickly or to help more experienced developers improve their skills. Pros: Very efficient and fast-paced instructor-led hands-on Adobe authorized training course. Multiple cities and locations available including online and onsite at company locations. Cons: If you’re not well familiarized with CFML this one is one is not for you. Cost: From $1100 to $2500 for open enrollment, depending on course length and location. Onsite training quoted on request (starts at $7500 for a two day in most locations ranging up to about $25,000. Price depends on location and number of students. This one is not only for CF developers. It offers training for other Adobe products, but also for Java, mobile programming etc. Pros: Very good outline, with lots of information. Developers say good things about their beginners' classes. Excellent online classes for those who don’t want to or don’t have time for onsite training. Cons: I wasn’t able to find the names of the instructors and their backgrounds. It would be helpful to know who’s training you and your team. I suggest including this info. Cost: $790 per online course and higher. Up to a couple of thousand $$ for live training sessions. ColdFusion user groups are a great resource for this as well. You can join one of them, or all, and meet these people at the meetings, or simply follow up after the meetings, some of which offer discussion lists, blogs, and recordings. There are ColdFusion user groups all over the world, but if there's none in your area note that there is the Online ColdFusion Meetup which meets several times a year and whose meetings are recorded. Who’s it for: A wide range of CF users. Pros: Great for networking, sharing and expanding your CF knowledge. Also good for topics that are not CFML, but have some connection to it. Cons: Maybe hard to follow along if you’re not proficient in CFML. Cost: Usually meetings are free. CFDocs is “UltraFast CFML Documentation Reference”. You can find good support here from the developers and longtime CFers that are very active in the community. Who’s it for: Medium to advanced. Pros: Very easy to find what you need. Easy urls like: cfdocs.org/hash just hit /tag-name or /function-name. Lots of contributors and resources. Cons: While many tags and functions show examples many do not offer any (it is an open source project, so you can contribute examples). 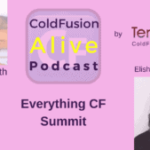 ColdFusion Alive, the only podcast dedicated to helping CFers thrive in their jobs and growing the CF programmer community. Discover practices, tools, techniques, tips, trends and what is new in the world of ColdFusion today. 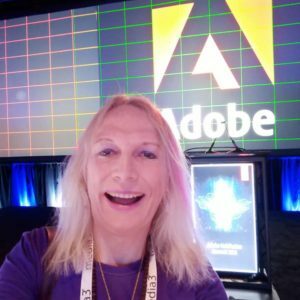 Interviews with 60+ top CF experts such as Charlie Arehart, Nolan Erck, Luis Majano, Kishore Balakrishnan and other top Adobe and Lucee executives who are setting the future direction of CFML. After Hours Programming is an open source learning website. Pros: Well explained. Easy to understand and start your first CF line. Cons: Limited learning resource and less contributors. What has just happened on my server?